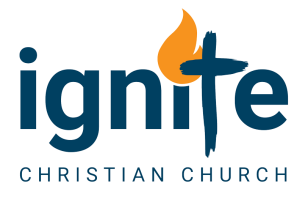 Strength from Weakness 4- Doubt - Ignite Christian Church in our lives. We’ve seen that insecurities, comparisons, apathy and today, I want to examine one character flaw that that really gets a bad rap in Christian circles… Doubt. Doubt is a common experience for all of us, but in church circles it is often equated with lack of faith, unbelief and even the pardonable sin. We are people of faith, and so we do not admit to doubting, but instead shovel it under the carpet and pretend we have faith. But while I must make I clear that doubt isn’t really ever good or desirable, genuine doubt is not always a bad thing if it leads to a positive, strong and dynamic faith. Many Bible characters struggled with doubt, and while it is never commended by God, God also was not usually offended by doubt. Job doubted God in his suffering, Abraham the father of faith doubted God, and asked for further assurance. Gideon has his fleeces, John the Baptist needed assurance that Jesus was the Christ, and Paul struggled with unanswered prayer. But the pin up boy for doubt is without doubt, Thomas.